The CMHC took a novel approach to finding out why Toronto and Vancouver buyers were so frenzied – they asked them. Conducting a survey of recent buyers, the agency uncovered what goes on deep in the mind of a real estate buyer in the middle of mania. Some of our favorite insights were on overbidding, and going over budget. 55% of recent buyers in Toronto and Vancouver report they engaged in a bidding war. To contrast, only 17% did so in Montreal. 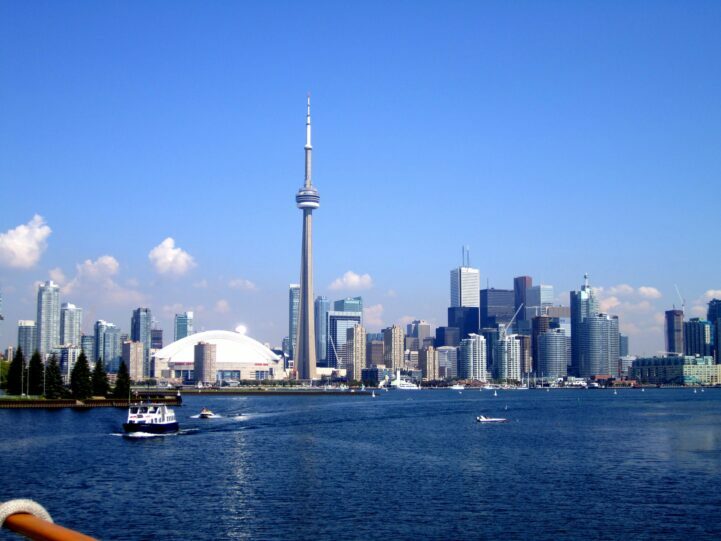 In Toronto and Vancouver, a whopping 48% of buyers spent more than they budgeted. Compare that to just 23.67% of Montreal’s buyers. For more insights, click through and read the most important insights. Credit rating behemoth Equifax expect credit defaults to rise by year end. The 90 day delinquencies have dropped to 1.08%, the lowest levels since 2009. That sounds like good news to the untrained ear, but is actually the opposite. When stats bottom, they’re more likely to reverse than continue lower. Using CREA’s sales to new listings ratio (SNLR), we find Eastern Canada is starting to warm up, and Toronto is cooling. Halifax and Ottawa saw their SNLRs rise 13.57% and 12.77% in May respectively, the fastest increase in the country. Toronto and Niagara was on the other side of that stat, with their ratios dropping 30.52% and 28.57% respectively. The Canadian Real Estate Association (CREA) is lowering their sales forecast. They now expect 459,900 sales in 2018, an 11% decline compared to last year. In March, they had been expecting 479,400 sales, a decline of just 7.1% from last year. We pointed out in March, the market was on track for a decline closer to 12%, so it’s nice to see them catch up. Unfortunately, right now, the market is on track for a 15.4% sales decline compared to last year. Unless there’s a reason to think the back half of 2018 will see a sales boom, they’re still underestimating. Statistics Canada, the country’s national stats agency, has finalized its 2016 – 2017 non-resident ownership numbers. In Greater Toronto, non-residents own 2.63% of all housing stock in the area. Isolating the construction built in 2016-2017, we see that number jump up to 5.17%. Yes, non-residents are the proud owners of nearly 1 in 20 new condo developments, a significantly higher ratio than the general distribution of homes. 30 years, nice! That means those properties you bought in 1990 just broke even 5 years ago, plus the cost of servicing that debt. Bias is in the eye of the beholder. They’re quoting the industry, who are telling people that the environment is deteriorating. You read that, and go “better dwelling is biased spin.” I read that, as an investor that manages more than just my own money, and see you trying to pump your investment. There’s little difference between real estate bulls and paid penny stock promoters at this point. On an inflation adjusted basis, it would be the only house in Toronto to have increased so much. You’re really only looking at prices having doubled since 1989, amateur investors are prone to exaggerating. That’s also not factoring in most homebuyers averaged a mortgage rate close to 12%, meaning they paid almost 2x more on the initial balance of the mortgage. The difference between a professional investor, and someone who just a bought a home and thinks they’re an investment genius is an understanding of the cost basis. Most homeowners don’t quite understand this, which is why the majority of agents would never tell someone to try and time the market. I think most immigrants don’t have the social network or the connection to invest in profitable ventures. My parents moved to Canada in 2000. My father only believed in the stock market and my mom would put her savings in the real estate. My mom just bought her 6th home this year. If you compare inflation adjusted return, the stock market definitely did better, but if you take into account rent/leverage/unrealized capital gain, I think my mom did better. Came to this country with nothing scratch and saved and put every penny I had in real estate… And thank God everyday for that. Please stop giving advice, if that’s the quality you’re giving people. Homebuyers need to understand the risk of their buys against climbing rates. If they listened to people that tell them to just buy in, which I’m hoping they’re not going to, it leads to much more market volatility than a prepared buyer. P.S. Mo one cares about your anonymous “I made so much money, now you can too!” Either put up some data, or get lost. You’re making yourself seem like a fool. I bought a place in Richmond Hill in year 2010 for $800K and sold it $2,000 last month (June 2018). It would have sold for $3,000 if I could sell it in March 2017. The detached home price in Richmond Hill is 30% down. So this is the time to buy a detached home. I am not so sure about condos because they went up instead of going down. Obviously I immediately bought another home. Assuming I understand how Canada allows residential real to be mortgaged beyond fair market value, there is a fix. The fix is to make it legally impossible to collect on any mortgage which exceeds the fair market value at the time the mortgage is given or when it is foreclosed. Leaving it to the market does not work as people will always try to borrow to much and lenders can have other motives to lend absurdly high amounts on property. This diea may not make too much sense at first, but look at Credit Default Swaps. No one would purchase questionable mortgage bundles which where guaranteed by Credit Default Swaps if CDSs were illegal and hence void. That way the buyer of the defective bundle would know that the CDS guarantee was worthless and he would pay more attention to the soundness of his investment. Similarly with lenders on homes. If the lender knows for a fact that he cannot recover any of his mortgage if it exceeds the fair market value when loaned or at foreclosure. This law would apply even if there were a buyer for the foreclosed property which would cover the excessive mortgage. The important point is that the law should make certain financial transactions like CDSs, unlawful and hence unenforceable as a matter of law. That would force lenders to use due diligence and also make them realize that even if the economy should overheat and raise the value of the property, it still will not get any recovery if the loans was too high when it was made. Speculators had stability in any market, but the national interest requires the government to protect the Price System. Stopping excessive mortgages would be one way to remove harmful speculation.